Since today is Monday - that means the topic in our lovely Blog Me MAYbe blogfest, is all about sharing something that has to do with writing! And what better way to start off the week, than to share some of my most favorite writing resources, be them books or websites? 1. 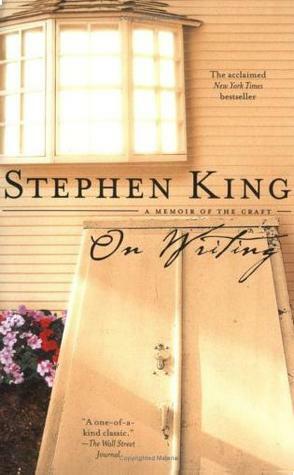 I've already mentioned this one before, but I love Stephen King's ON WRITING. This is one of my absolute favorite books on the craft of writing for a number of reasons. Not only does Stephen King open the door on how his writing career began (or actually, almost didn't), but he also lays down the honest truth, if writing is what you really want to do. Another great resource for writers, specifically those interested in the Young Adult genre. "Writing & Selling the YA Novel" offers a complete lesson plan for writing and publishing fiction for teens. Structured like a day of high school, award-winning young adult novelist K.L. Going takes her students through every stage of YA writing. 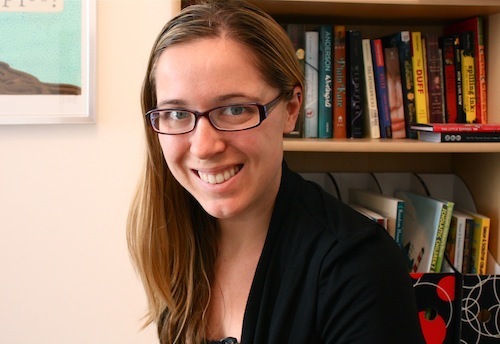 Learn how the YA genre has developed in History class. Toss around ideas during Gym. Create authentic teen characters in "English class." Craft convincing plots during Lunch. Add it all up in Math as you learn about agents and contracts. Along the way you'll find plenty of "homework" exercises to help you hone your skills - as well as input from actual teen readers. At the end of your school day, you'll have all the knowledge a young adult author needs to write a book that speaks to teen readers - and get it published. 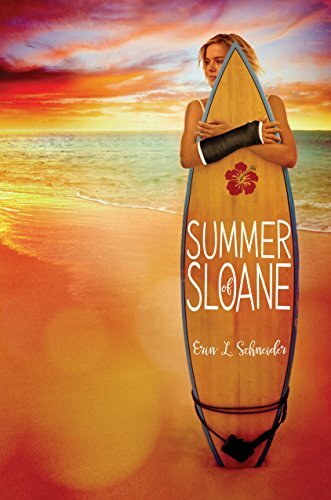 I haven't read this one yet, but I've heard many great things - it's definitely on my TBR list. Kidlit.com is an ongoing project for the passionate community of people who read and write children’s literature. My name is Mary Kole. I live in Brooklyn, am an associate agent at the Andrea Brown Literary Agency and write young adult and middle grade of my own. My favorite things about kidlit change almost every day. If you want to find out more about me as an agent, please check out my bio on the Andrea Brown Literary Agency website by clicking here. Not only is this site a fabulous resource for all things Kid Lit - but Mary does an amazing job allowing followers to interact with one another. In fact, thanks to Mary, I met one of my uber critique partners - Heidi S. - through one of Mary's Critique Connection posts a few years ago! QueryTracker.net is a model for what I like to call "Social Data Gathering." Which means each QT user contributes data about their query and agent experiences. Alone, this data does not reveal much, but when combined with the data from our ever-growing membership, we can see trends and identify important aspects of an individual agent's actions. I've said it a few hundred times before, and I'll keep saying it a million times more...for those in the query letter stage, this site is an invaluable resource. Welcome to the Write-Brained Network, a writing community dedicated to connecting writers of all genres, stages, and levels. There are so many talented writers that are a part of this group - not to mention, I head up their YA subgroup - the YAwesome Writers! Within this subgroup, we've managed to pull together some pretty amazing critique groups, based on sub-genres...so if you're at all interested in finding a great CP, head on over - the more the merrier! And I know...it's been awhile since I've been active on this site - and I so need to get on back over there and get with it! If anyone is interested, I'm thinking about starting a query letter workshop of sorts...maybe get a few folks to post their query, for feedback? Help others get started in the process? If this sounds like something that people would be interested in, I'm more than happy to get the ball rolling. So pop on over to the WB, sign up if you haven't already, join the YAwesome Writer's subgroup - and let me know! Older PostBlog Me MAYbe: A Little Something About Me!